Sunday started off pretty rotten, chilly and misty, although it was gorgeous and warm by the afternoon. 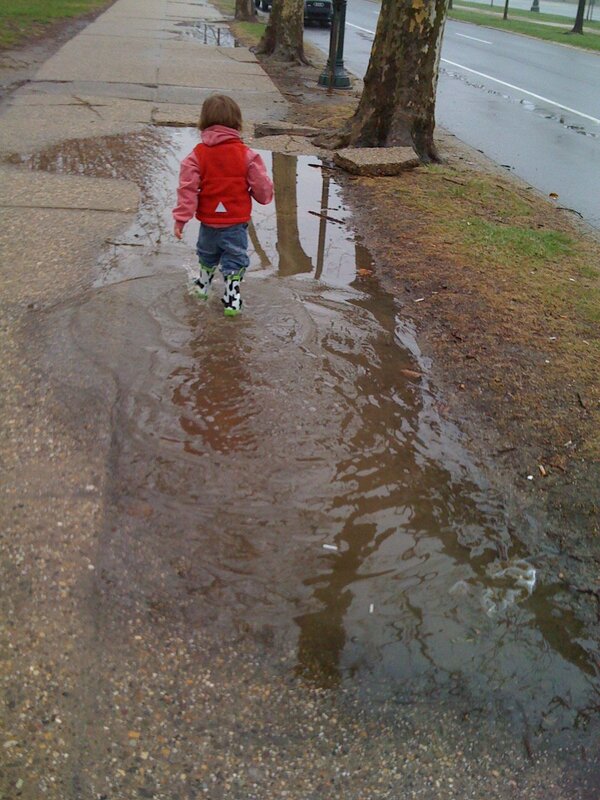 B and I took the Princess for her walk along the Parkway, choosing our route largely based upon the quality of the puddles along the way. 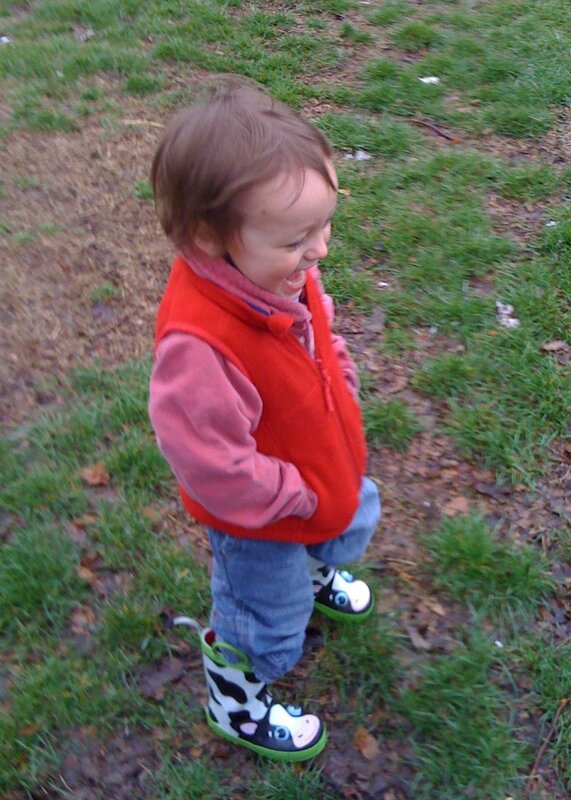 Fortunately, those moo cow boots really are waterproof. This entry was posted in city life by Southern Girl. Bookmark the permalink.